Carpooling is a great way to save money and help the environment while meeting other UMBC students! UMBC offers a free service called Zimride that helps you find other students and staff members who are commuting from your area. This service is exclusively for members of the UMBC community, and you can find out more at Zimride’s UMBC webpage. 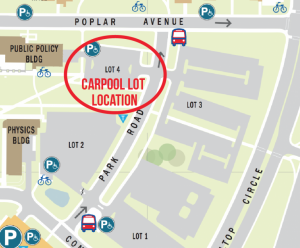 Students who wish to carpool together can park in Lot 4 at the designated “Carpool” parking spots prior to 10:30am. You do not have to utilize Zimride to park in the carpool spaces; however, all students who are carpooling together must have a valid Carpool Permit. UMBC Transit offers free shuttle service to UMBC students, faculty, and staff. There are also bike racks on all UMBC shuttles, so you can easily transport your bike with you! To learn more about UMBC transit and to see shuttle routes, visit the UMBC Transit website. Telework typically allows employees to work at a location other than a traditional office setting, such as at home or a satellite office. For example, an employee may work from home/remote location one (1) day in the workweek and the remaining 4 days in the office. Telework arrangements require a work plan with tasks and deliverables clearly outlined. Once the arrangement has been outlined, the appropriate Telework Agreement Form must be reviewed and approved by the Human Resources Department. Visit the UMBC HR website for additional information. Retrieverfleet is a free, short-term bike sharing program for UMBC students, faculty, and staff. You can rent a bike with your UMBC I.D. at the R.A.C. and use it to get around campus and to travel to nearby areas. To learn more, see the Retrieverfleet Flier. Zipcar is a car sharing program that allows you to leave your car at home! You can reserve a car for as little as an hour or as long as a week, and you pick up your vehicle on-campus. 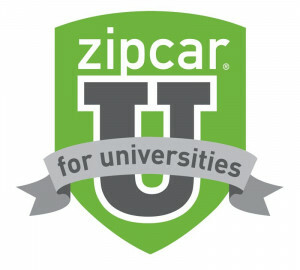 Visit the UMBC zipcar website to learn more and to sign up. UMBC offers charging stations for electric cars on-campus. Two vehicle charging stations are available in the Stadium Parking Lot, and these stations are free to all UMBC community members and visitors.